The lowdown on the Philips PureRadiance Facial Cleansing System. 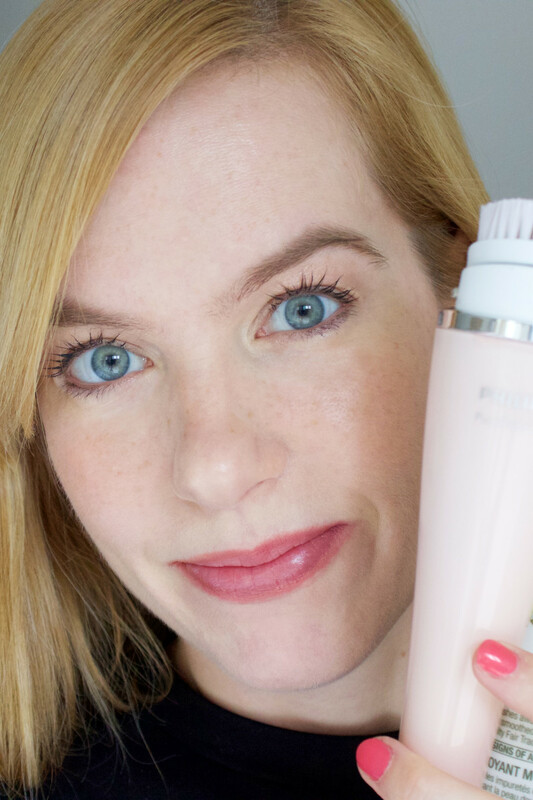 I tested this Philips PureRadiance Facial Cleansing System for 30 days. 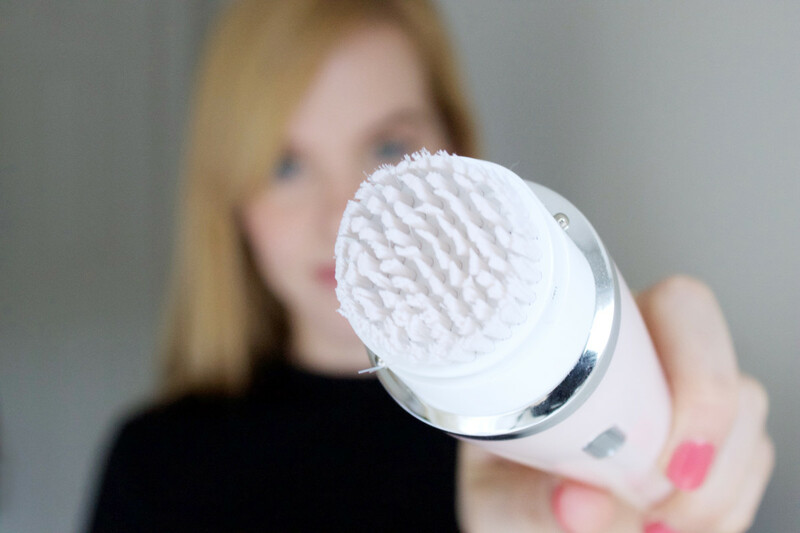 If you&apos;re at all interested in skincare, then by now, you&apos;ve noticed the cleansing brush craze currently sweeping the nation. Maybe you&apos;re already on board and using such a gadget every time you wash your face. But if you&apos;re not... should you be? Today, I want to help answer that question! The sleek design of Philips PureRadiance. 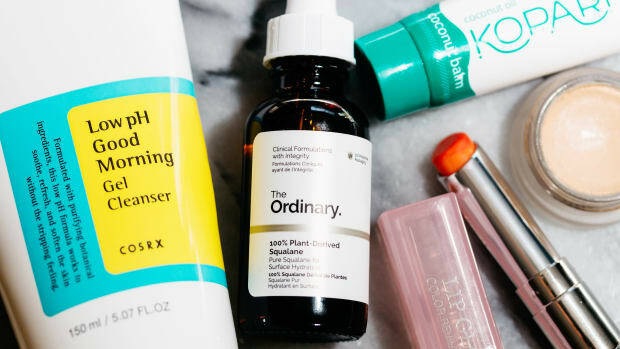 After I got my hands on it—or should I say, it on my face!—I promised to keep cleansing with the device, twice a day, for the next 30 days as part of my daily skincare regimen. Well, I&apos;ve now come to the end of my testing period, and I&apos;m here to report on my results! But first, a quick recap on what the product is all about. 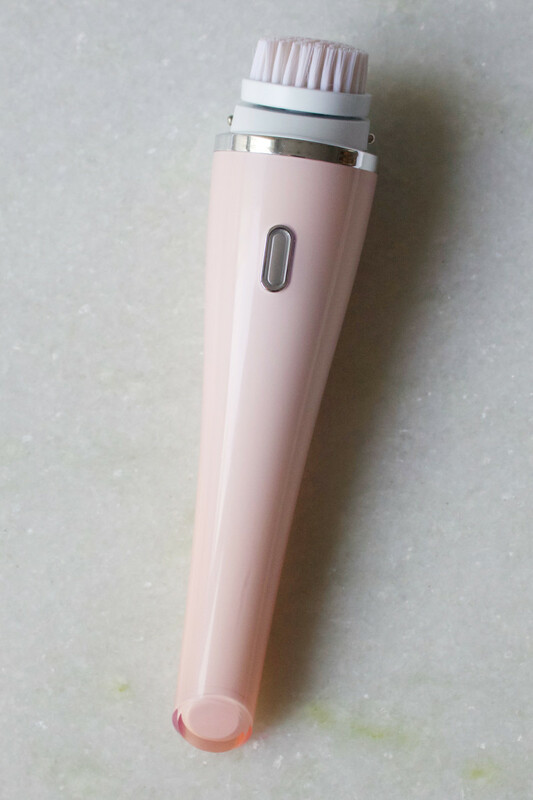 The PureRadiance device uses the same sonic technology that Philips is famous for in toothbrushes to give your skin a gentle but thorough cleanse. The brush head itself is unique because it moves in two ways: by pulsing and rotating. The pulsations are what breaks up the dirt, dead skin cells and makeup on the surface of your skin; the rotations are what sweeps them away to leave your face clean and soft. This brush head rotates and pulsates. The main thing to remember is that the brush is 10 times more effective at cleansing, compared to just washing your face with your hands. It&apos;s also said to be gentle enough for all skin types to use as often as twice a day. Okay, on to my review! So like I said, my test-drive involved using the Philips PureRadiance Facial Cleansing System to wash my face twice a day—morning and night—for a full month. One of the great things about this tool is that you can use it with any face wash you like. Being a beauty editor, OF COURSE I don&apos;t use just one cleanser. (Haha!) Generally, I rotate between a few different ones depending on how my skin feels that day and what I need to try for my job. The brands on rotation for this test-drive included The Body Shop Nutriganics (a foam), Derma E (a charcoal gel) and Dr Roebuck&apos;s (a cream). I had no problems using the device with all three types of cleansers. 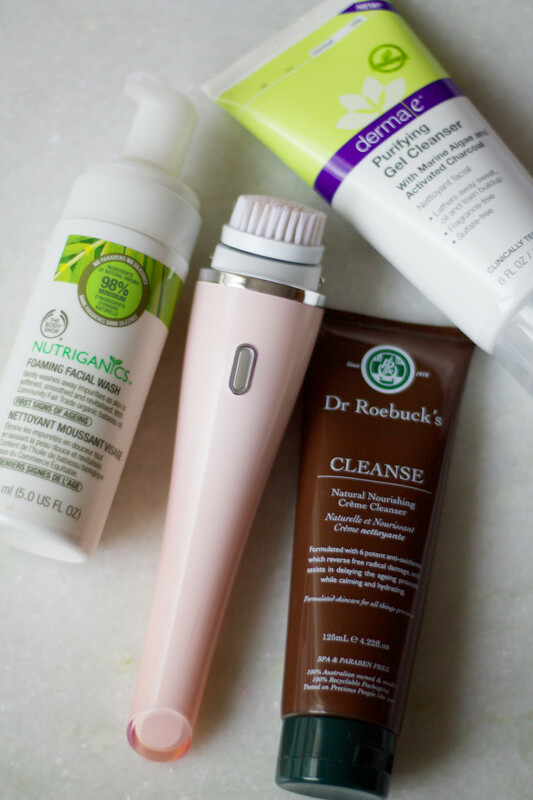 All the cleansers I tried with the Philips PureRadiance Facial Cleansing System. See that button on the front of the PureRadiance device? It controls two levels of intensity: gentle and deep-cleansing. Usually, I did gentle in the mornings, but deep-cleansing at night, because that&apos;s when I needed to get off the day&apos;s makeup, sunscreen, etc. 1. It Got Off More Makeup. 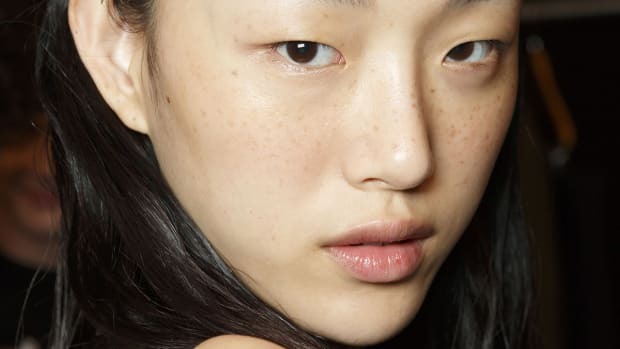 I&apos;ve long been in the habit of using Bioderma&apos;s micellar water on a cotton pad to remove any remaining traces of makeup after I wash my face at night. But here&apos;s the thing. When I did this after cleansing with the Philips gadget, the cotton pad was basically clean. Like, there was barely anything on it. I probably could&apos;ve just skipped this step, because the cleansing brush was getting everything off in one swoop. 2. My Face Felt Smoother. Another thing I noticed a few days into starting my Philips routine—and that you&apos;d notice with any face brush—is smoother skin. That&apos;s because facial cleansing brushes not only remove dirt and makeup, but they also do a gentle exfoliation. Buffing off those rough dead skin cells is what&apos;s making the skin softer. I&apos;m pretty sure my makeup was also gliding on more easily! A build-up of dead skin can also block ingredients from penetrating properly. So theoretically, PureRadiance was probably giving me more mileage from my topical skincare products as well. Sweet! 3. My Skin Looked Nice (So I&apos;m Told). And it&apos;s true. My skin was clear, and I dare say, pretty glowy. No doubt that was from PureRadiance keeping my pores clean, and getting rid of dullness-causing dead skin cells. In fact, I found myself skipping foundation quite often this past month. Here, I&apos;m only wearing concealer (by RMS Beauty), mascara and blush! No foundation here, just concealer, blush and mascara! I mentioned the vibrating action of the brush, and I think I even saw a benefit just from that—it really gets your circulation going. But it IS gentle. Even though my skin tends to be sensitive, I didn&apos;t get any irritation despite using the brush twice a day. I want to mention a couple of important things here that will help you avoid some of the problems people complain about with cleansing brushes. You do need to keep this brush clean. Just because you&apos;re using it with a face wash doesn&apos;t mean the bristles themselves are bacteria- and mildew-free. The gadget is cordless and can be used in the shower, which I love. But I would not recommend storing it in the shower. Probably my bathroom is particularly damp, but I noticed the brush bristles started to get a funky smell if I left it in there, lying on the side of the tub (where it wouldn&apos;t really dry out). Better to store it on your bathroom countertop in the charging stand, where air can circulate and the water will naturally drip out. I would also recommend you wash the bristles every few days with a mild liquid soap or shampoo. Rinse thoroughly and then let it completely air-dry. To really be on the safe side, it&apos;s not a bad idea to immerse the bristles in rubbing alcohol every week or so. The brush head will need to be replaced after three months. It goes without saying that you should never use ANY cleansing brush over broken or irritated skin. And remember, you don&apos;t have to press down when you&apos;re using it, which could be way too simulating. All you need to do is gently pass it across your skin—it&apos;s truly doing all the work for you! 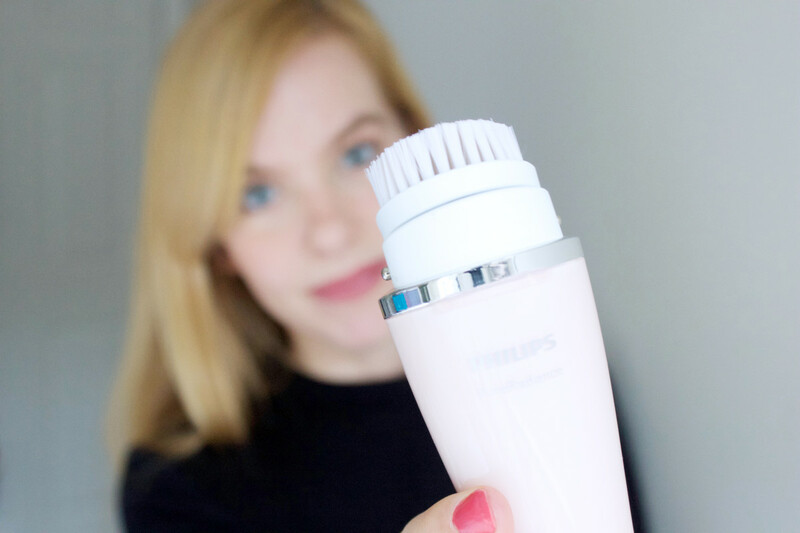 Check out Philips PureRadiance if you&apos;re looking for a gentler cleansing brush. My skin generally behaves itself these days, but the fact that I got unsolicited compliments on it during this trial period definitely points to the benefits of PureRadiance. I appreciated that it only took one minute to use, so it was easy to fit into my routine. 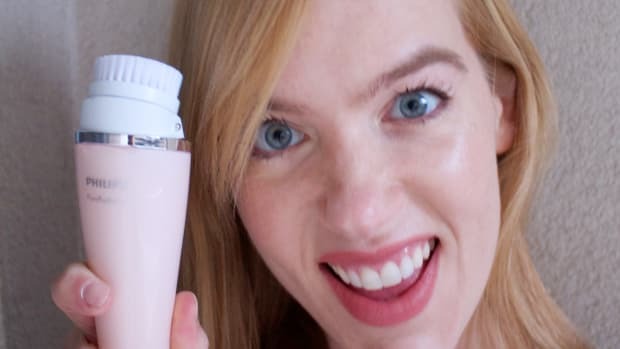 I wouldn&apos;t have thought that I could get away with using a cleansing brush twice a day, but as it turned out, my normal-to-sensitive skin was just fine with that. If you, too, are prone to sensitivity and are thinking about investing in a cleansing gadget, this could be the brush for you. I would definitely say the Philips PureRadiance Facial Cleansing System is on par with the, er, more "well-known" brand in this category. It&apos;s super-gentle and suitable for ALL skin types. Where to buy: Visit Philips.ca for retailers. What do you think of Philips PureRadiance? Have you used it? 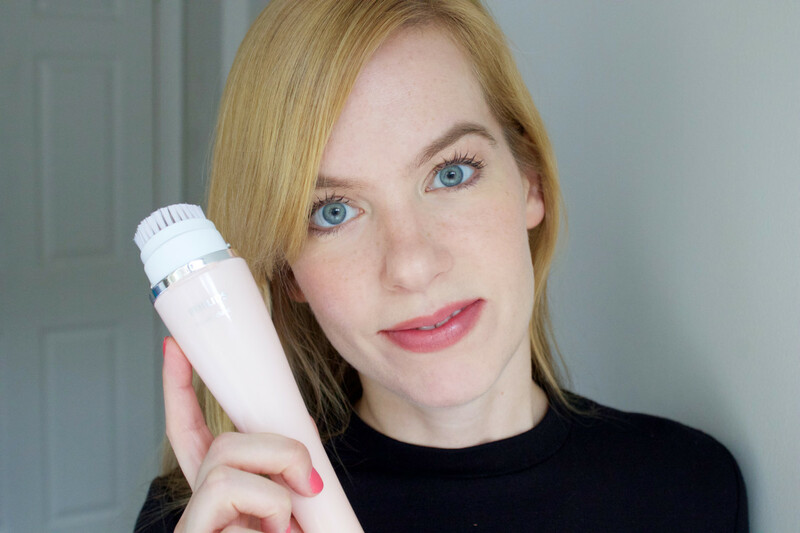 Come, unbox the Philips PureRadiance Facial Cleansing System with me! Q: What Makeup Should I Wear to a Wedding? Play up your lips or eyes. 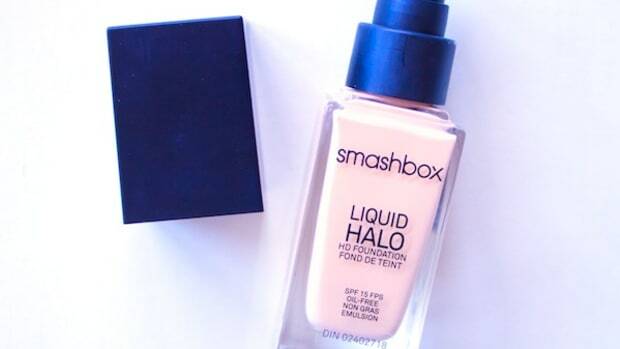 The new Liquid Halo Foundation sounds amazing... but actually disappoints. Q: What Should I Do When My Face is Lighter Than My Neck? Welcome to a little problem known as "The Eagle". Can a juice cleanse get rid of holiday bloating? Part three in our Detox Diaries. 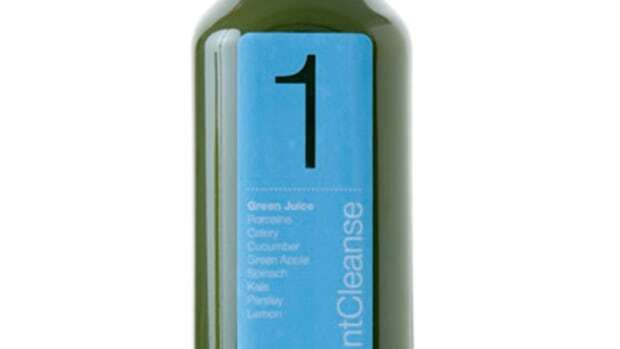 Can a juice cleanse get rid of holiday bloating? Part two in our Detox Diaries.